01/20/2014 11/27/2017 Paul D. Dail10 Comments on What Makes a Good Bad Guy? Part 1: Hate the sin. Love the sinner. What Makes a Good Bad Guy? Part 1: Hate the sin. Love the sinner. 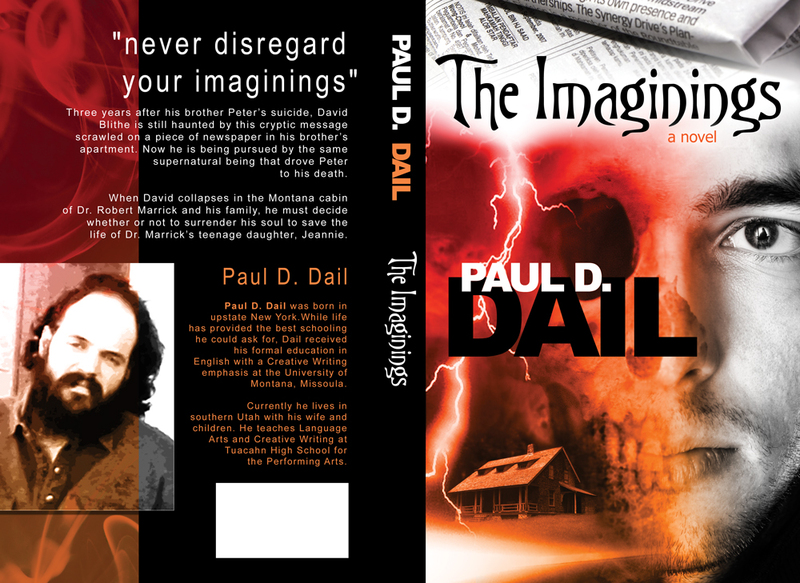 After much longer than I had originally intended, the print copy of The Imaginings is actually a print copy… kind of. Currently in the proofing stage, but it was pretty cool to be able to hold my first novel in my hands, to be able to flip through the pages. Click above for a sneak peek at the cover. Shouldn’t be long now. I’ll keep you posted. Still shopping around a couple short stories that I’m pretty excited about. Now just hoping to find a publisher who will agree. Also working on the early stages of a couple other stories as well. And, uh… ahem… yeah… still trying to get started on the edits for my next novel. The following is a re-print of a piece I wrote a couple years ago for Suite101, a site for informative articles of a myriad nature. This article was under their “creative writing” section, but I tried to make it entertaining to the average reader as well. The result was a two-part piece that reads much like Stephen King’s On Writing. Not that I consider myself on par with Stephen King or anything. In fact, I’ll take this moment to officially purport neither to be an expert in this field or a strict follower in my own writing of all of the things I suggest here all of the time. However, I think I have some interesting perspectives on the topic and would like to believe I’ve written at least a couple decent bad guys in my time. What I meant to say is that, much like On Writing, the first part I’m posting today is probably more accessible to general readers, with the second part geared more toward writers (but hopefully still interesting to more dedicated readers). When it comes to creating a good antagonist, the first step is understanding why people often like the bad guys, be they on the screen or on the page. Putting aside the character background bios and the “dinner dates with your main character” recommended by many authors, to get down to the root of character development, I think most writers have to establish some form of a connection with the characters we are creating. If you believe in some sort of higher power or deity, this is probably much how that god/goddess/whatever certainly must feel. See why writers are a little messed up? To write a story, to create a world and bring people to life is to be like a god. There are few things in the world to compare. The question is, how do we deal with the devil? And perhaps more importantly, how do we make people like him? But let me say again: To get down to the root of creating any characters, writers generally have to establish some form of a connection with the character. Most of my characters carry some reflection of myself, even if only glimpsed on the window of a parked car as they walk past it. And in addition to the general public’s support of the rogue, I would venture to say that most genre fiction writers have a love for creating the bad guy (and yes, I know the correct literary term is antagonist, but that’s what I’m going to call him/her/it for the sake of this article). Probably many of the more “literary” writers feel this way as well. What has surprised me is how many horror writers I’ve met over the past few years who are also the nicest, gentlest people you might know. Yet our pleasure in writing often comes more from the creation of the adversary than the main character. Why is that? In a nutshell, the Shadow is the deep, dark side of our Self. It’s very often the opposite of our projected Self and usually hidden from others. And we all got one. If you think Gandhi never got pissed, you’re fooling yourself. He just had more control over it than, say, the Unabomber. Everyone has a darker side, with the tricky part being that in order to be a complete person, you have to recognize it without giving in to it. Add in the idea of a collective unconscious, a universal storehouse of shared memories, and you might have what we could call our common connection to Evil. But it doesn’t have to necessarily be evil. Keep in mind that the Shadow is the side of us that we can’t express… at least not in polite society. That doesn’t necessarily make it evil. With a huge surge in vampire literature as of late, many in the horror field have wondered what the next big thing will be once the vampires stop glittering and start desiccating in the sun. It’s been proposed that werewolves will stick around and find more popularity. This makes sense to me, because the werewolf represents something similar to the Shadow. It is our wilder side. And in a world where many would say–regardless of which side of the fence you’re on–that if you’re not outraged, you’re not paying attention, the werewolf represents the ability to rage against the rules that dictate civilized society. Maybe it’s like Jung proposed. To be whole you have to recognize the darker side. And maybe sometimes it’s okay to even like the darker side. Just try to keep it on the page, buddy. And speaking of writers, my next installment, Turning the “Shadow” into flesh and blood, will address how I think writers can put some of these ideas to the task of actually creating a good bad guy. How about you? Who are some bad guys (or girls) you loved to hate? Or hated to love, for that matter? And don’t forget to check back for Part 2. Finally, I know posts are sporadic as of late as I pursue the writing career, but if you’ve enjoyed what you read here, please subscribe to receive posts via email or RSS feed (on the right hand column) so you won’t miss anything when I do get the opportunity to say something. NO SPAM, I promise. Good luck with the ongoing path to print Paul :). As far as your article, I love the “bad guy” too. Two of my favourites that always spring to mind are from the two most recent Batman films: Heath Ledger’s Joker and Tom Hardy’s Bane. I just love watching them and find myself cheering them on at some level. I love Joker’s chaos and Banes brute force animalism. I’m pretty sure I like them because they are doing what part of me would also revel in. I also agree with Jung. Awareness of the darker side of who you are just gives you more power, even though most right thinking/right minded people would never act on it/in those ways. I know if I was ever mugged in a dark alley, it would be my darker side that would save me if things got nasty. Looking forward to part 2 :). Seriously, though, I agree that they are often doing or saying the things we wish we could do or say. I mentioned Pulp Fiction, and I think Tarantino does a good job with bad guys in this regard. Reservoir Dogs also comes to mind, with the concept of “honor among thieves” even surfacing with Harvey Keitel’s character. But there’s even a darker side in that one. 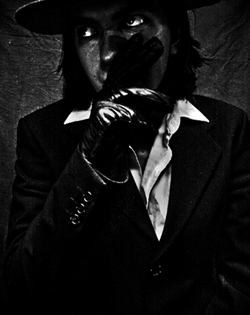 Mr. Black. And I agree, I think we have to have connection with our Shadow. I hinted at it in the post, but just because it isn’t acceptable in polite society doesn’t necessarily make it bad. And yes, it’s probably what will save you in a mugging. Thanks again. I’ll try not to wait too long to put up Part 2. Thanks for sticking around. Hey Paul, I’m putting the finishing touches on a novel that has you as a character. You are both good and evil in it, a very confusing chap that we laugh with, boo at, and have pity for. Can’t wait until it comes out (in 2015) and I can send you a copy to flip through the pages. Nothing, and I mean nothing, beats a printed book. Ebooks will never replace the experience. Best of luck with yours! Hunter, that’s awesome. Is this the Montauk Monster novel I saw you writing about recently? I read it in my email. Cover is great. Anyway, if you don’t mind (and if that’s the book you’re referring to), I’ll probably do a repost of your blog post from last week. Give me a couple weeks. And thanks again for the opportunity to be a character. I can’t wait to see it. You’re actually in the Sinister Entity sequel. I’m on the fence about the name. Trust me, once it’s all done, I’ll give you all the details. I love this post. I also agree that the writers who write thrillers and horrors are truly beautiful humans. I think it is because we do expel the shadow self on the page. We don’t tend yo shy away from acknowledging the darkest parts, we face them and then in a therapeutic way expel them onto a white page. I have always used my writing, first poetry and then fiction to expel those shadows. That is why I write darker than light. Though in a surreal way the light is allowed to shine because I have faced the darkness. Not to mention that these are done freeing aspects of writing a dark character in fiction. Their motives are often very black and white and you can go places with character development that are sometimes restricted in the protagonist. That being said in my fiction even the protagonist is a chiaroscuro characterisation of dark and light. I don’t believe in the perfect hero or heroine. I think the most interesting characters are the ordinary characters who are thrown into terrible situations and done how find the strength to overcome and triumph. This makes them the hero/heroine in my book.